Maryland is such a beautiful state and offers so many things to see and do, especially on the weekends. 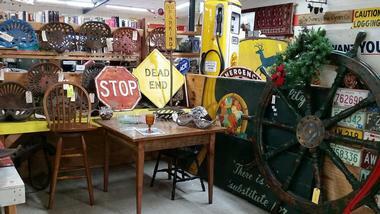 Perusing the state’s many flea markets and antique stores is a great way to spend the day. You may go home with something you love, spend time reminiscing about products there from your past, or just come to dine on all the delicious, authentic, freshly-made foods served by the vendors or at the food carts. The Joppa Market Place has an Amish Farmer’s Market filled with fresh fruits and vegetables, while other places like the Vintage Flea and Farm Market have everything from clothes and shoes to jewelry and electronics. The Bethesda Farm Women’s Market offers a quirky and festive experience to all those who attend. The market has an eclectic combination of vendors; you will find artisans, boutique businesses, local vineyards and breweries, and much more there. While the market is usually open on Wednesdays, Fridays, and Saturdays, an additional outdoor flea market is housed there every Sunday from 7:00 a.m. to 4:00 p.m. Visitors come from far and wide to try Belgian chocolates with Le Crepe Gourmande, purchase hand-crafted jewelry at Shannon Marie Jewelry, and buy fresh and organic produce from Metro MicroGreens. Serving the Pasadena area since 1986, visiting the Brumwell’s Flea Market is considered a local tradition. 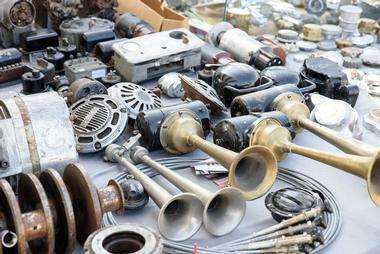 The flea market is usually open to the public on weekends from 6:00 a.m. to 2:00 p.m. all year long, weather permitting. There are over 300 vendors selling anything and everything imaginable; new and used clothes, furniture, toys, tools, electronics, antiques, plants, and fresh produce are just a few of the items you’ll come across. Many people initially come for the interesting items that are always on sale, but many return again and again just to dine on some of the best food trailers in the state; there are fresh and authentic tacos, Glazy Days mini donuts, and breakfast sandwiches that you’ll crave long after you leave. The Chesapeake Marketplace and Auction House is a unique collection of shops and vendors that sell a wide assortment of goods. Many of the shops focus on antiques and collectibles while some offer lovely knick knacks, local crafts, ceramics, and such. Other goods include new and used furniture, books, and household items. The products are constantly changing so there’s always something new to see and buy. The Marketplace is usually open from 10:00 a.m. to 5:00 p.m. from Wednesday through Sunday, while the Auction House is open from 10:00 a.m. to 5:00 p.m. every Wednesday through Saturday. Usually open on Friday and Saturday from 9:00 a.m. to 3:00 p.m. and Sunday from 10:00 a.m. to 2:00 p.m., the Feagaville Indoor Flea Market is one of the best places to find unique and interesting goods at great prices. 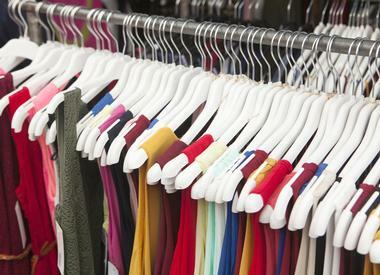 Items can be brand new or gently used, and different products are put up for sale every week. There are over 50 vendors in the 6,000 square foot space, all of whom sell unique wares from antique furniture and electronics to farm-fresh fruits and vegetables. Collectors will definitely enjoy exploring table after table of stamps, knives, and other interesting artifacts. 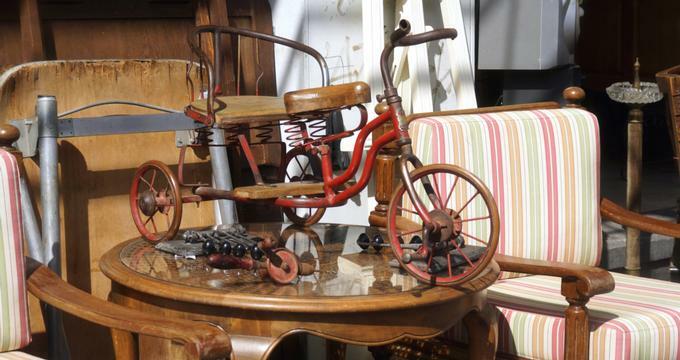 Housing a number of vendors and discount stores, the Flea Market 13 Antiques and Used Furniture market space is filled with odds and ends that you’ll adore. Many people come to the market just to peruse items and reminisce over books, games, and other items from their childhood. Items vary drastically each time around but one of the most popular reasons people come time and again are for the selection of cars and automotive parts that are available there. If you’re in the area be sure to stop by, take a look around, and maybe go home with something you just couldn’t leave behind. The Trinity United Methodist Church in Catonsville houses a flea market every third Saturday of the month from April to October. The market is usually open from 8:00 a.m. to 1:00 p.m. and has several unique and household items for sale. The goods for sale are constantly changing and can include clothes, shoes, electronics, decor, furniture, toys, books, games, and more. Flea market vendors can be found outdoors while an indoor thrift shop is also available on site. After a day of browsing and shopping for interesting finds, visitors can dine on a delicious lunch concocted by the Trinity chefs at the fellowship hall. Joppa Market Place, a farmers’ market and flea market, is one of the largest of its kind in the area. There are over 200 booths with the usual clothing, shoes, and household items, but there are also vendors who sell beautiful handcrafted items, antique furniture, homemade scented wax, and much more. Other tables showcase custom floral arrangements. The Amish farmers’ market is full of delicious, fresh, and organic fruits and vegetables. No matter what you’re looking for, a day spent with family and friends at the Joppa Market Place will ensure you leave with something you love. The North Point Plaza Flea Market, Baltimore’s biggest indoor flea market, has over 200 booths along with additional tables and carts selling an array of items. Visitors will be able to find so many unique things at the weekend flea market, including clothing, jewelry, and home goods. Don’t forget to get some delicious fresh fruits and vegetables at the farmer’s market, which is usually open on Friday from 10:00 a.m. to 7:00 p.m. and Saturday from 8:00 a.m. to 4:00 p.m.; the flea market is open from 7:00 a.m. to 4:00 p.m. on Saturdays and 7:00 a.m. to 3:00 p.m. on Sundays. The OC Flea & Farmers Market is usually open on Friday, Saturday, and Sunday from 6:00 a.m. to 2:00 p.m. There are over 150 vendors who come together and set up tables filled with cool and eclectic stuff to buy. Visitors will be able to purchase all sorts of one-of-a-kind, as well as everyday products, that are great for the entire family. The DJ spins some of the latest hits while you walk the open markets filled with interesting things. There are even some authentic jewelry and furniture made by Ocean City vendors. Don’t forget to enjoy a meal at Hooper’s Crab House while you’re there! Usually open on weekends all year round, Park & Flea is not just a place to buy and sell a few goods, it’s also a place to come and simply browse, explore, hang out, and enjoy some great conversations. The large outdoor market is a great place to spend the day with the family, exploring antiques and novelty items while trying out concoctions from some of the local food vendors. The designated farmer’s market is open from 8:00 a.m. onwards every Saturday and is a great place to get fresh, seasonal fruits and vegetables. If you have a green thumb, there’s no better place to purchase many flower and vegetable plants. 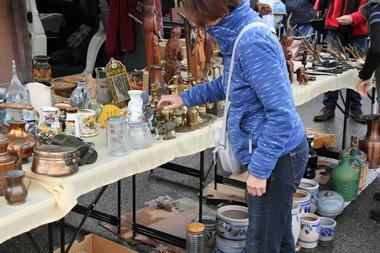 The Patapsco Flea Market is usually open on Saturday and Sunday from 8:00 a.m. to 6:00 p.m. The market is home to a variety of vendors who sell new and gently used merchandise such as shoes, clothing, perfume, household items, handmade crafts, and much more. The CW Produce stall is a popular stop to stock up on fresh fruits and vegetables for the week. S&S Carpet and Rugs is another renowned vendor at the flea market where visitors will be able to walk away with amazing area rugs, carpets, and much more at lower prices. 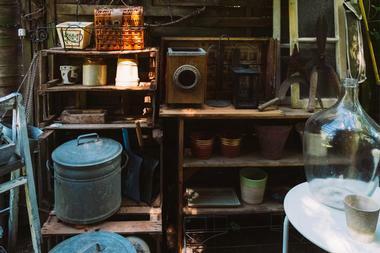 The Market is so much more than your average flea market or consignment store. In addition to new and used goods such as clothes, toys, and home goods available at reasonable prices, you’ll also find vendors and stalls that cure ailments with herbal remedies, customize jewelry based on your likes, and even cut your hair or teach you how to style it in different designs. Other offerings include custom window treatments and framing, novelty items and antiques, and an array of freshly baked pastries, pies, and other desserts. There is so much to see, do, and buy at the market, and the best part: parking is plentiful and free! The Vintage Flea and Farm Market hosted by City Mouse Vintage Designs is operational during the year from mid-May to mid-November. The market comes to life year after year and attracts numerous vendors, entertaining shows and concerts, and food carts. Vendors at the Vintage Flea and Farm Market have everything from fresh produce and baked goods to clothing, household items, and electronics. Kids will also enjoy checking out the array of toys, games, books, and other entertaining items that are available. The hidden gem is sure to be a place where you’ll find something you’ll love and cherish. Usually open on weekends from 8:00 a.m. to 4:00 p.m., the Washington Boulevard Marketplace serves thousands of visitors each month. The flea market was formerly called the US1 Flea Market and is still popularly known as such. There are over 250 vendors in the indoor/outdoor site, all of whom have a wide selection of merchandise that includes items both new and used. 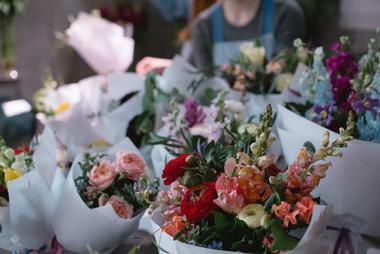 You can come across baked goods, fresh farm produce, clothing, shoes, cosmetics, electronics, furniture, tools, hardware, furniture, and even bunches of beautiful fresh cut flowers. While there, be sure to try out some of the delicious concoctions served at the indoor food court vendors or the outdoor food carts.